Optimizing team performance and individual accountability requires a clear organizational approach to goal setting, performance expectations and results tracking. Performance Benchmarking is about orienting team members to the daily and long-term commitment and accountability practices needed to optimize both theirs and the entire company’s output. Diamius will implement benchmarking practices and methods that encourage clear goal-setting, achievement, team motivation and support towards producing exponential results. There are two forms of Performance Benchmarking, they are Industry Metrics and Internal Metrics. 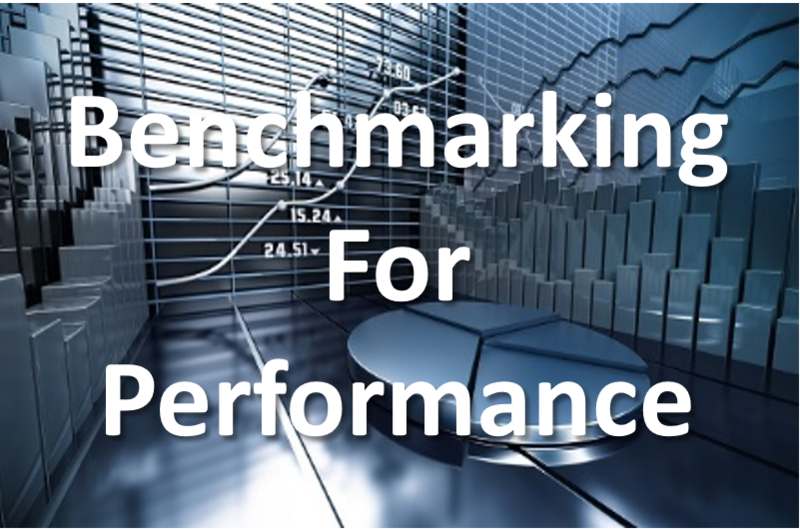 Download our "Benchmarking For Performance" Whitepaper here. Industry Metrics are about comparing one's own business processes, practices and performance levels with those from best performing companies from other industries. Metrics pertain to quality, efficiency, time-to-market, attrition, bench strength and ROI. Management identifies the best firms in their industry, or in another industry where similar processes exist, and compares the results and processes of those studied to one's own. In this way they learn how well competitors perform and more importantly, the business processes and practices that explain why these firms are successful. 360 degree feedback comes from members of an employee's immediate work circle. Most often it includes direct feedback from an employee's subordinates, peers (colleagues), and supervisor(s), as well as a self-evaluation. The results are often used by the person receiving the feedback to plan and map specific paths in their development. Results are also used by some organizations in making administrative decisions related to pay and promotions. The data from this review comes from the employee and their direct supervisor or manager. Unlike the development feedback tool, the results of this assessment are used in making administrative decisions related to pay and promotions. These reviews should never be administered in conjunction with development feedback tools as they are at counter purposes to one another. This tool is exactly what its title suggests, a survey measuring how satisfied, happy and cared for the employees of a company feel about their place of employment. The value in this type of tool is in accessing important engagement trends, the health and well-being of teams and the emotional loyalty employees have to their employer. While the tool is not designed to “improve happiness” its function is to engage workers in a process of verbalizing and making known their attitudes and expectations. These studies yield critical information about the actual systems and procedures and their effectiveness in an office environment. The employees completing these tasks are valuable resources in providing an in-depth view of operations, as they are closest to the work being completed. They provide a thorough cost analysis to obtain an accurate basis to compare financial ramifications. Assessments focus on qualitative aspects of the services including systems and procedures, workflow layout, as well as end user perceptions and needs. Here at Diamius Multinational we believe in an integrated approach to development. The five facets of personal and professional development we focus on are, Love, Aliveness, Abundance, Belonging and Joy. These five can be shaped into a powerful convergence or "point of clarity" much like the facets of a diamond come together at the apex of its brilliance. As we "polish" each facet it enhances the brilliance of the whole of who we are. The bar graph to the left shows the degree of engagement and results you can expect by participating in this particular Diamius resource or program. During Agilent Technologies strategic realignment this outstanding program and a Keynote kick-off was delivered to 900 Agilent Asia Pacific managers. This was done in two mega events in Penang, Malaysia and Singapore. These addresses were a part of the kick-off events to create and capture the spirit of the newly created Agilent values of “Speed, Focus, Accountability”. In addition, he provided post event executive development, coaching and leadership integration processes to country managers and regional directors from Asia winning him our prestigious “Vantage Excellence” consultant status. I recommend this program and its top-notch facilitation professionals without question. Our programs facilitator Mr. Val Jon Farris was exceedingly creative, inspiring, with deep domain knowledge in transformational leadership always willing to walk the extra mile. I have had the pleasure and honor of working with Val Jon Farris and his "The Leader Within" programs in Hewlett-Packard Latin America Region. In HP, customized versions of these programs were delivered to our first level, middle and senior management team, in most of Latin America Countries, inspiring our managers to achieve better results through high impact skill sets. I recommend the Leader Within staff as a highly skilled professional group, exceedingly creative, inspiring, with deep domain knowledge in transformational leadership, sincere, passionate and always willing to make a difference in all they do. Val Jon Farris and the Leader Within programs provided critical support as a thought partner as I built leadership depth and breadth as the Leadership Development Manager in Tucson. I would describe frustrating leadership symptoms to him and he very quickly would drill to root cause. The leadership courses he designed to address the issues I was challenged with spurred self-realization, growth, and behavior changes on the job for a multitude of leaders. Val Jon was wonderfully challenging to leaders – and they flourished under his tutelage. The years I spent working with him were productive, allowed me to improve as an L&D leader and I/O psychologist, and made a long-term impact. Senior learning & Development Manager, Intuit, Inc.
Senior consultant Val Jon Farris and his work with The Leader Within were the overall d drivers for HP’s most successful ever enterprise-level leadership and sales initiative SOLD (Sales and Organizational Leadership Development). Spanning six-years with our top-level executives and district managers, this work was critical in elevating our executive team's ability to lead, motivate and manage diverse interest from the customer, HP and the other independent companies. I highly recommend the work of The Leader Within from my personal observation and experience.